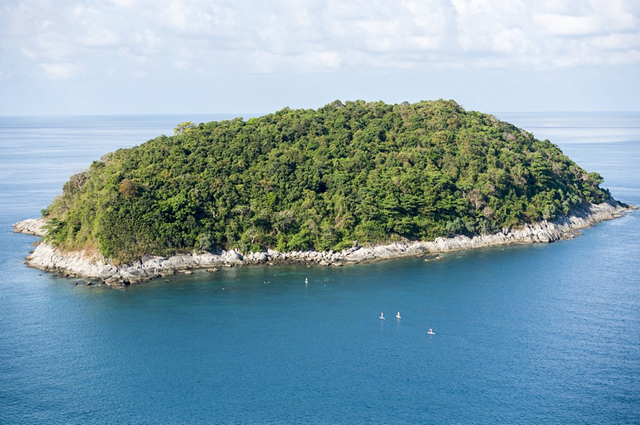 Phuket, as Thailand’s largest island, as well as the ever trendy Koh Phi Phi, have for decades consistently drawn sun seekers, water sports enthusiasts, island hoppers and night time revellers to their shores, never disappointing with the quality of service and diverse attractions on offer. 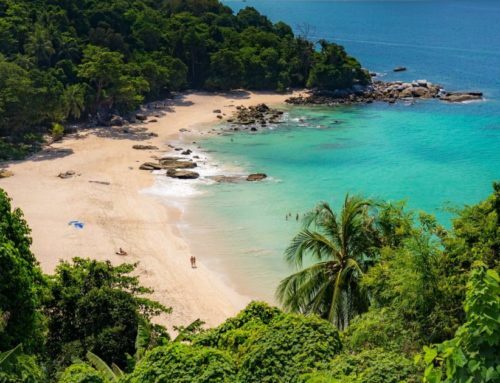 More recently, mainland Krabi on southern Thailand’s west coast has joined the mix with its increased popularity, leaving visitors to Thailand spoilt for choice when seeking to spend time on the Andaman Sea. 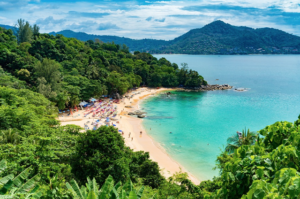 Phuket – note that the ‘h’ in Phuket is silent – is home to some of Thailand’s most beautiful beaches, mostly situated along the clear waters of the southern and western shoreline. Each is different, with Kata, Karon and Kamala traditionally more popular, Surin and Ao Bang Thao home to upmarket romantic resorts and Rawai more family-oriented. For those wanting to party until dawn, Patong is for you. The country’s largest island, mountainous and covered in rain forests, can leave you feeling like you are still on main land. Besides decadent hours spent lounging on the beach, you will find scuba diving, excellent food, sacred temples and traditional Thai massages. 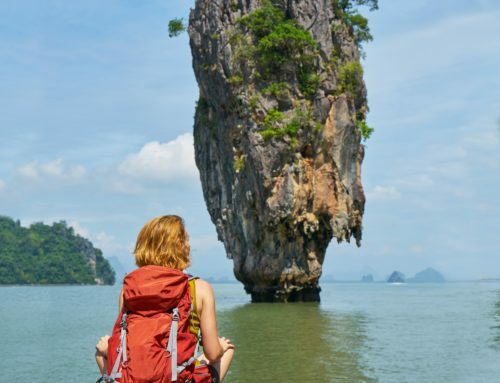 For the activity hungry there is rock climbing, speedboat excursions and a cruise around Ao Phang Nga National Park with visits Koh Tapu, known as James Bond Island for its appearance in a Bond film. 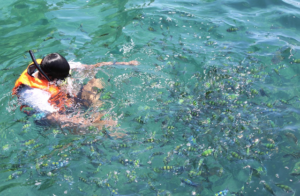 The bay’s waters are dotted with coral reefs and perfect for snorkelling, even for the inexperienced swimmer, while in the north wildlife sanctuaries and national parks can be visited. 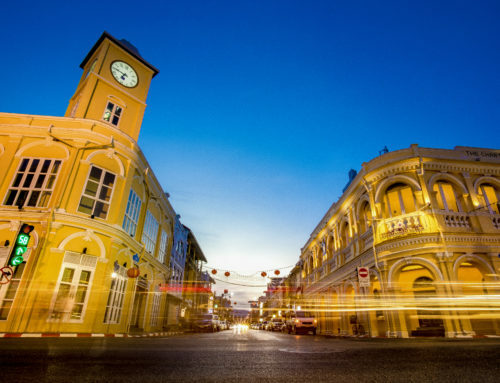 The capital Phuket City is found on the east side of the island, culturally rich with colourful 19th-century shop houses and Sino-Portuguese buildings. 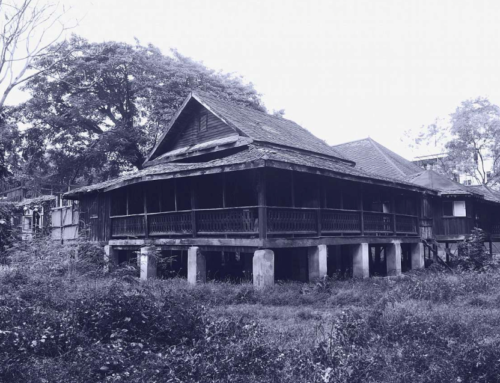 Main attractions include the Baan Chinpracha mansion, built by a wealthy tin merchant in 1903, it has Italian floor tiles, shuttered windows and antique furniture. Set in a 1930s manor, the Thai Hua Museum houses exhibits on Phuket’s culture and history. 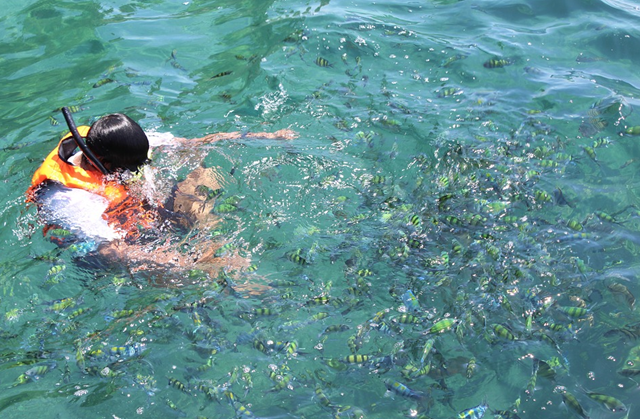 Home to some of the most picture perfect seascapes on the planet, Koh Phi Phi is just a 45-minute speedboat trip or a 90-minute ferryboat ride from either Phuket or Krabi. The ultimate tropical island getaway with long tail boats and palm fringed beaches; you’ll be forgiven for thinking you’ve stepped into paradise. Here stunning limestone rock formations stretch out of turquoise waters that teem with brightly coloured marine life. Made up of six islands, with the two main islands Phi Phi Don and Phi Phi Leh. The larger and inhabited Phi Phi Don attracts hundreds of visitors to stay on its lovely shores while the smaller uninhabited Phi Phi Leh is custodian to beautiful bays and beaches, including the world-famous Maya Bay, which was the set where The Beach with Leonardo Di Caprio was filmed. The surrounding hillsides and cliffs make Phi Phi a top climbing destination with beginner to advanced climbing courses available, as well as gear rental. With the rich marine life and calm clear waters, this is an ideal place to learn to scuba dive with from Discover SCUBA to Instructor development courses available. Known for its nightlife, there are many beach bars where you can enjoy cocktails with your feet in the sand, authentic Thai restaurants and massage and tattoo parlors as well as markets for shopping. Completely laid back, there is no reason to rush a visit here, rather just soak it all up with no schedule and no reason to leave in a hurry. 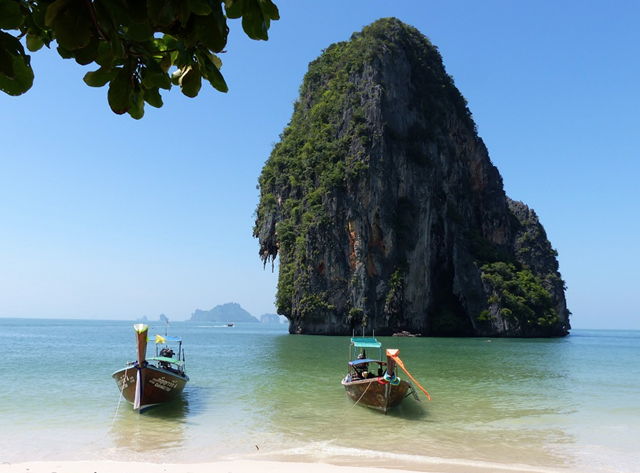 Krabi is the ideal holiday destination for those wanting a relaxed stay in southern Thailand. Located between Phang Nga and Trang, the province features stunning scenery both inland and at sea. With over 150 islands off its 150 km coastline, lush jungle interior, dense mangrove forests, towering limestone cliffs, caves, waterfalls and protected wildlife, Krabi is a good option for any traveller. The capital, Krabi Town has managed to retain its old-world charm and simplicity and even though it has naturally evolved to modernity, it still offers a very authentic Thai experience. Several traditional fishing boats line the river, while bars, restaurants and interesting museums depicting the history of the region, as well as markets and street food, hold your attention. As far as activities go, island hopping, snorkelling, rock climbing, sea kayaking and scuba diving, are among the most popular on offer. From is convenient position excursions can be taken to Ao Nang, Phi Phi Islands and Koh Lanta, and to the lesser-known areas Ao Luk, Ao Nam Mao and Ao Thalane. Railay Beach as Krabi’s most famous beach is well known for its upmarket accommodation and laid-back restaurants, although the main attraction remains the beach itself. A highlight attraction in the area is Wat Tham Sua, also known as Tiger Cave. The remarkable temple was built in a limestone cave in the forest and legend has it that a tiger once lived there. Inside is a golden Buddha and many relics and icons. A climb to the top of the cave to take in it’s full atmosphere is recommended. The Fossil Shell Beach, Klong Thom hot springs and Khao Khanab Nam caves are other recognisable landmarks in Krabi. 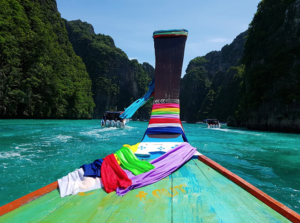 You can also join a Four Islands Tour to visit Tup Island, Phra Nang Cave, Chicken Island and Poda Island, with stops at each for swimming, eating, exploring and relaxing. The Than Bokkharani National Park is home to dense rainforest and a variety of endangered bird and animal species including the Gurney’s pitta, a minute bird with a yellow belly that lives there. Equally important is the Hat Nopparat Thara National that incorporates the majority of Krabi’s coastline along with about 80 islands including Koh Phi Phi. 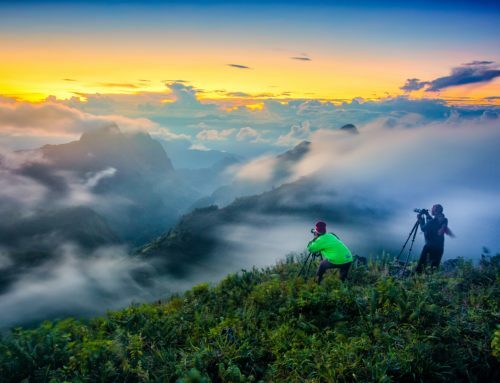 Conveniently just an 80 minutes flight from Bangkok, with the airport servicing international destination too, this is a province that warrants time and exploration.